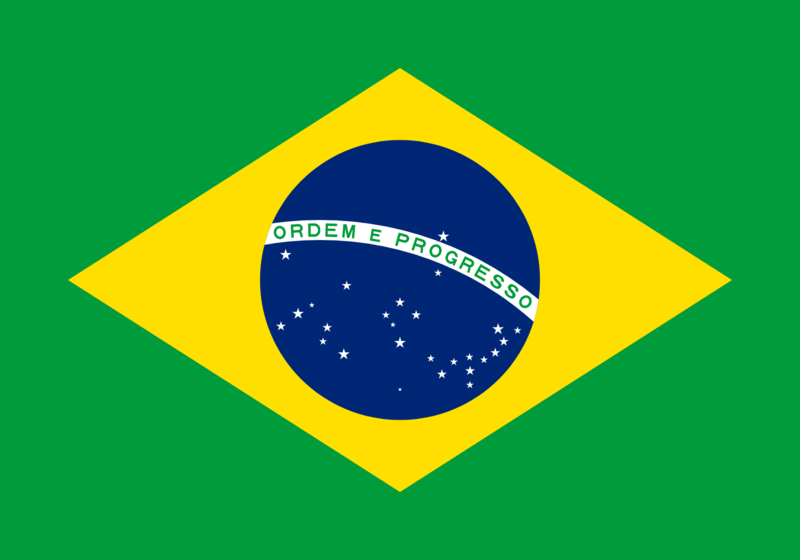 The draft of the Brazilian flag was designed by professor Teixeira Mendes together with several astronomers and painter Decio Vilares. The flag has truly unique design - the globe in the center of the flag shows the night sky exactly as it could be observed on November 15, 1889 at 8:30 am from Rio de Janeiro (on this day the Brazilian monarchy was brought down). Every single star in the sky represents one state and the globe is surrounded by a yellow diamond, which is set in a green background. The inscription "Ordem e Progresso" on a white ribbon, which goes through the globe, means "Order and Progress". After the monarchy was brought down, a flag similar to the US flag had been adopted, however it was withdrawn after 4 days for the reason of excessive similarity.